Genesee County United Way is expanding its program to help low-income Flint residents pay their past-due water bills. The non-profit is funneling more money to the program and is looking to raise even more. United Way has provided Genesee County Community Action Resource Department, which is administering the grants, an additional $50,000. That brings the total amount to $150,000. United Way has expanded the guidelines to include customers with a household income at or below 200% of the poverty line. Those families are now eligible for a 1-to-1 dollar match; customers at or below 150% can get their dollars matched 2-to-1. The average match provided so far is $240. Since the program launched three months ago, it’s helped about 250 households pay down past due water bills. Genesee County United Way CEO Jamie Gaskin hopes the existing money will help another 500. But data obtained by Michigan Radio show 9,000 customers got a past due notice this spring. Almost 10% of those customers owed $1,000 or more. Gaskin says the matching grants are a short-term solution. In the long run, he says water rates must go down. “It’s clear right now that the water bills are so high, again excluding the issue of the water crisis itself, that many families can’t afford the water,” Gaskin said. This week, police stopped protestors demanding lower water bills and continued bottled water distribution from entering Flint City Hall. “Due to limited staff and an abundance of projects/jobs to complete in Flint, city officials have made water service turn-ons a priority over shutoffs,” Moore wrote. Because the shutoffs haven’t happened “at any kind of light speed” Gaskin says it’s allowed the non-profit to better keep up with the demand. But he expects that to change as shutoffs continue this summer. There’s also an moral question looming over the entire situation, Gaskin said: Should people have to pay for water they couldn’t drink? Residents are still supposed to use a lead filter. "At some point does one of the class action lawsuits that's working itself through the courts ultimately pay everybody back for what happened during the water crisis around water bills? I don't have an answer to that question." “At some point does one of the class action lawsuits that’s working itself through the courts ultimately pay everybody back for what happened during the water crisis around water bills? I don’t have an answer to that question and those answers may be five and six years out,” he said. The state has spent more than $40 million subsidizing Flint’s water bills, as part of the response to the city’s lead-tainted tap water crisis. The credits ended in February because Flint’s water quality is improving, the governor’s office said at the time. 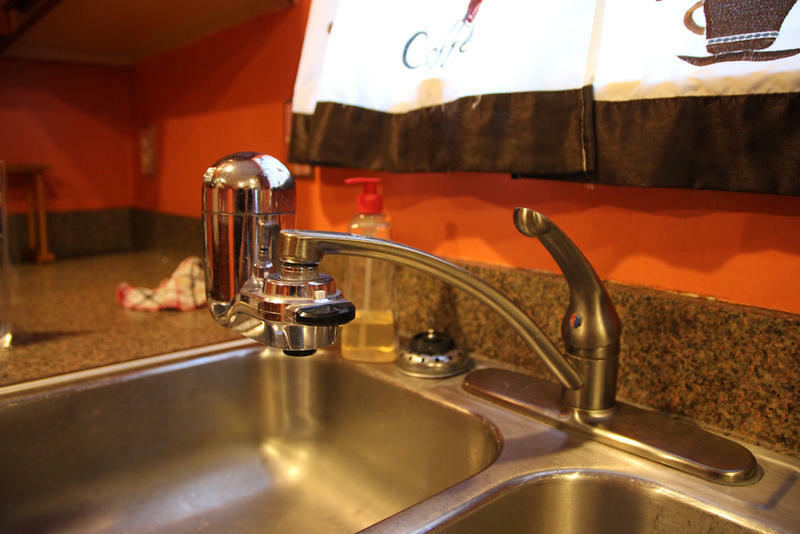 Flint’s state-appointed Receivership Transition Advisory Board recently ordered the city of Flint to resume placing tax liens on homes that didn’t keep up with their water bills during the time when Flint’s water wasn’t safe to drink or use for bathing. But the Genesee County official charged with collecting delinquent taxes says she won't collect money for tax liens placed on homes with overdue water bills. Judith Pruitt’s water bill is $7,545.29. That’s after the Flint retiree withdrew nearly $900 out of her savings account a few weeks ago to pay the city, or else her water would’ve been shut off, she said. New data analyzed by Michigan Radio show Pruitt is not alone. The ACLU of Michigan and the NAACP Legal Defense and Education Fund are calling for Flint City Council and Mayor Karen Weaver to suspend any efforts to impose liens on homes where resident's haven't paid their water bills. Those liens could eventually give the city the right to sell off the home if the debt isn't paid back. 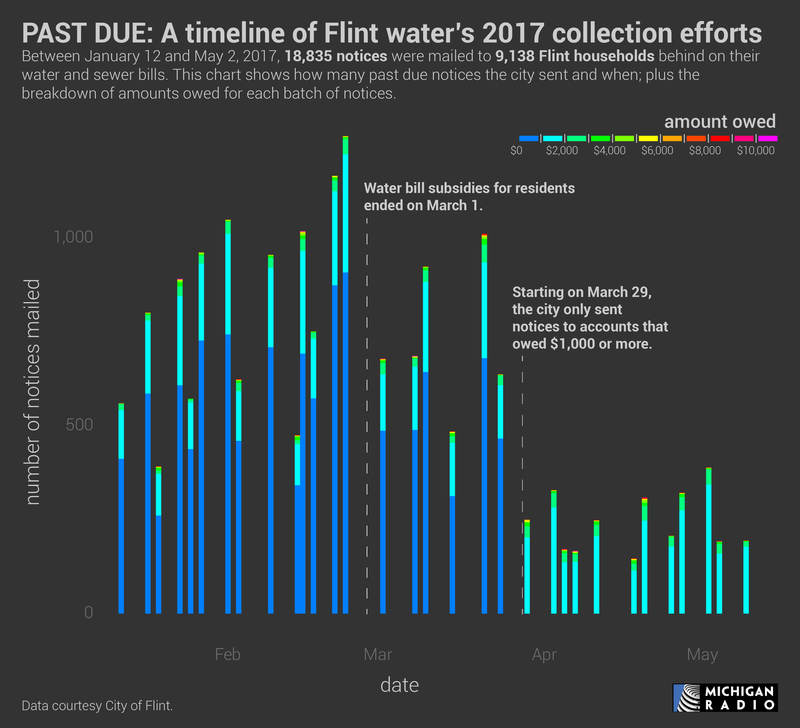 Many Flint residents are upset that the city has started threatening to put liens on homes that are delinquent on their water and sewer bills. 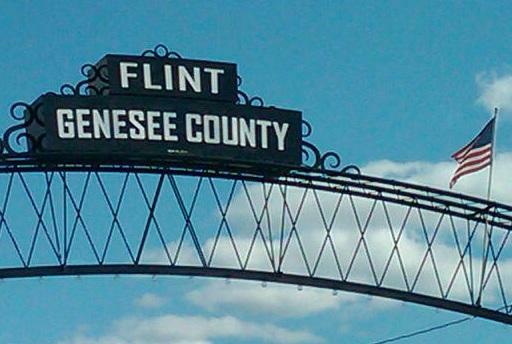 Last month, the city of Flint sent out notices to more than 8,000 water customers. The notices advise customers to either pay their delinquent water bills, or the city will put a lien on their home. The delinquent bills amount to nearly $6 million. Stateside's conversation with Genesee County Treasurer Deb Cherry. The Genesee County official charged with collecting delinquent taxes says she won't collect money for tax liens placed on homes with overdue water bills. That means Flint homes with delinquent water bills will avoid the threat of foreclosure. 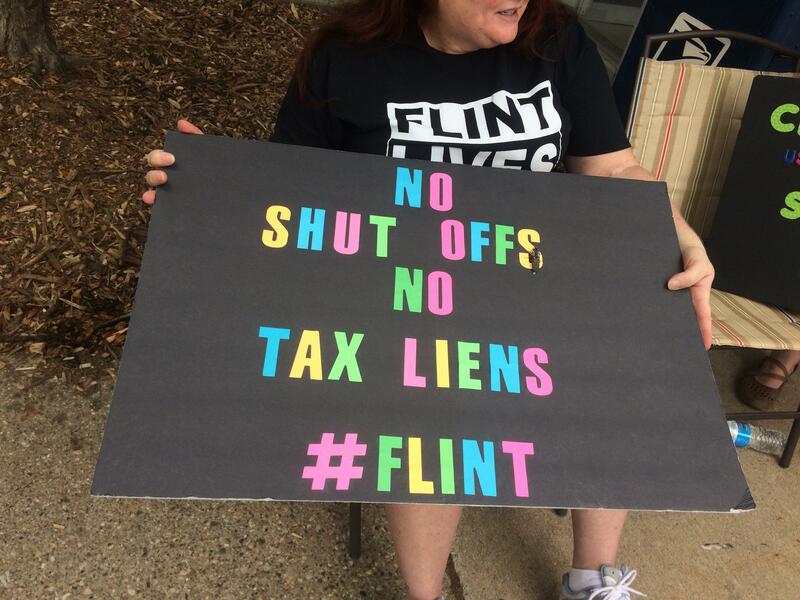 Flint’s state-appointed Receivership Transition Advisory Board recently ordered the City of Flint to resume placing tax liens on homes that didn’t keep up with their water bills during the time when Flint’s water wasn’t safe to drink or use for bathing. Thousands of delinquent Flint water customers are once again at risk of losing their homes. Today, a state oversight board struck down a moratorium on putting unpaid water bills on county tax rolls. 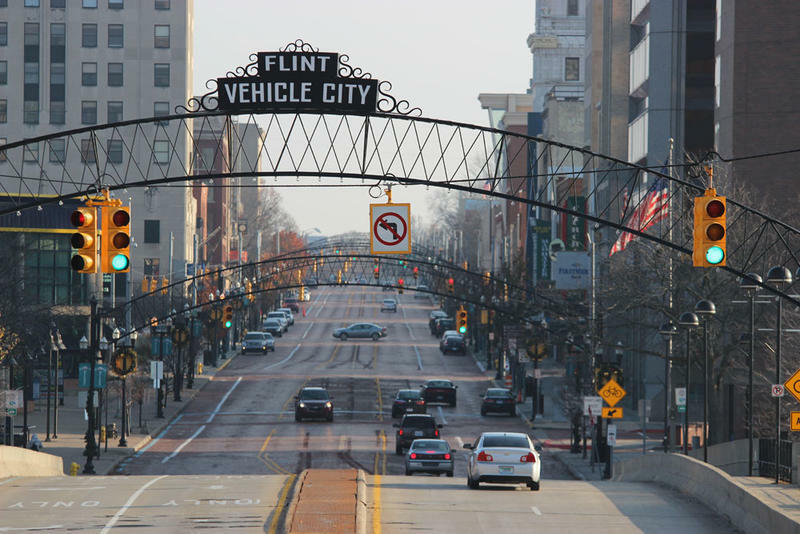 The Flint City Council on Wednesday passed a resolution that puts a year-long moratorium on the city’s policy of placing tax liens on properties with unpaid water bills. Council President Kerry Nelson said he had received numerous calls to his office pleading for the move. Multiple city council members mentioned that some city residents struggle to afford Flint’s high water rates, and other residents were refusing to pay for water that could not be used without a filter.